Day Two started with a crisp, sunny morning, which was a wonderful surprise considering the weather forecast was predicting rain. We rode through rolling farmland through Bankfoot and Tullybelton where we stopped to photograph a desolate little cemetery. From Tellybutton, we did our first climb out to Little Glenshee. This beautiful four mile stretch of road was dotted with small farms and led us into to foothills of the highlands. 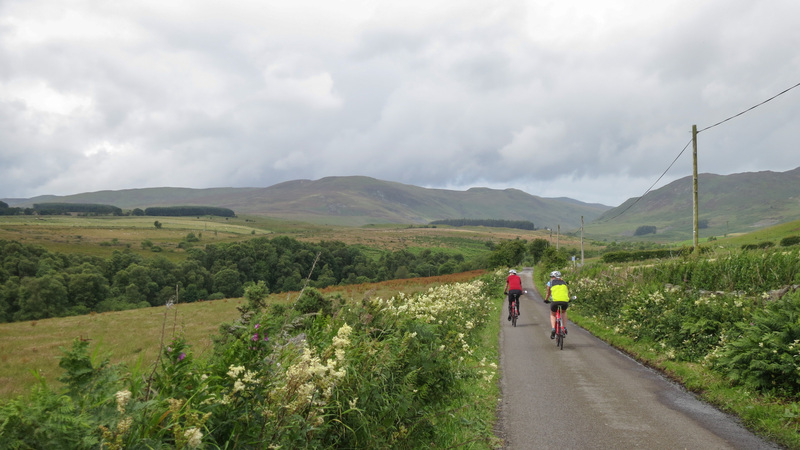 After a break at the entrance to Little Glenshee farm, we enjoyed six miles of downhill cycling with awesome views of Perth, The Tay River Valley and the Ochail Hills. At this point I realized I hadn’t seen any other cyclists from our group in quite a while and hoped I wasn’t lost – that would have been a lot of uphill if I had to retrace my steps! A quick check of the GPS map on my phone followed by the tour van passing me on the road assured me I was on the right track. Soon I was enjoying lunch at Pitcairngreen Inn and Pub. 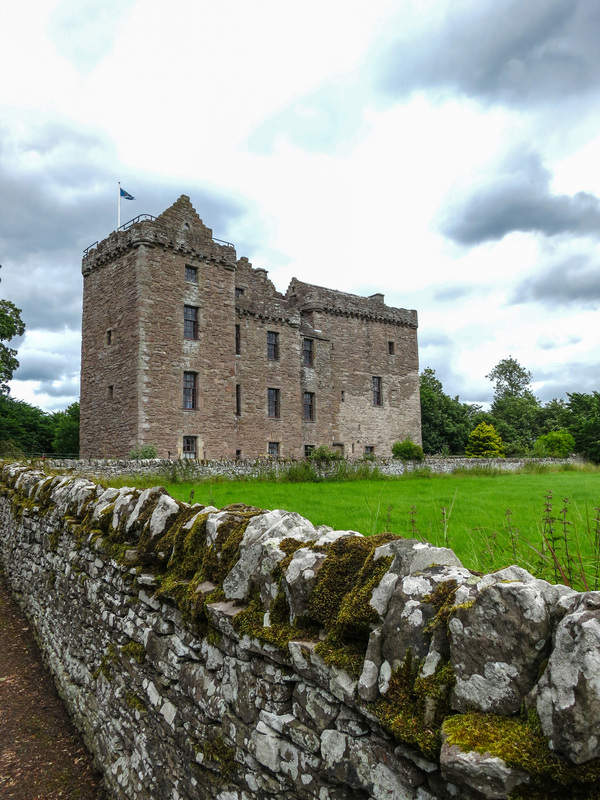 After lunch, we did a quick climb up to Huntingtower Castle, where we were treated to a thorough guided tour with stories of war, forbidden romance and possible black magic that transpired within the walls. During that tour, the skies opened dumping rain that the wind then blew sideways. 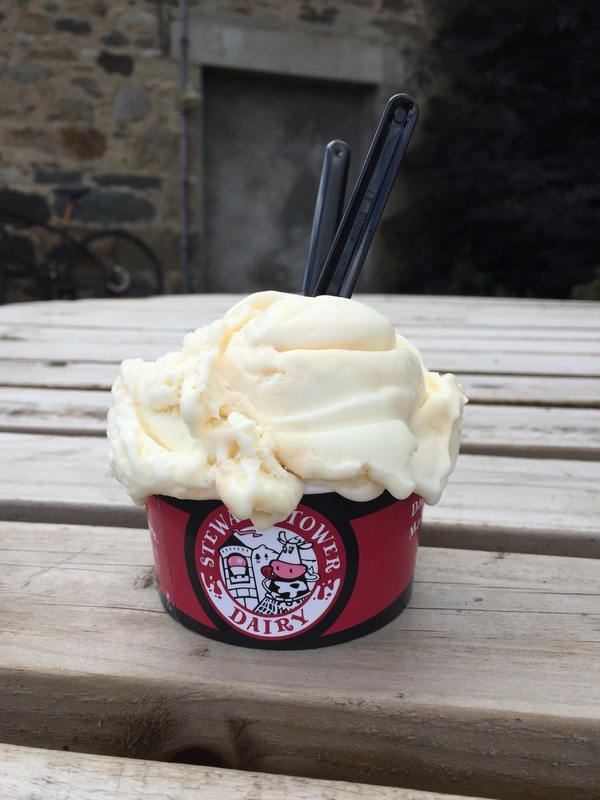 However, the lure of homemade ice cream at the end of the ride was a major motivator for some, which eventually drew us back on our bikes. It was still raining as we rode down the hill and along cycle path 77 to Pitcairngreen Inn. Finally, the sun came out as we passed Pitcairngreen so we could dry off as we continued through the rolling farmland back to Stewart Tower Dairy. The ice cream was well-earned and particularly delicious! 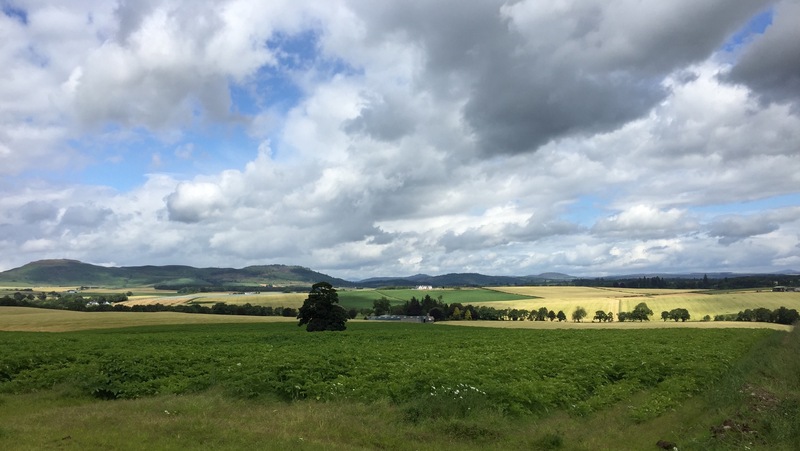 Somewhat rejuvenated, we enjoyed the remaining views of the farms on the last three miles back to Ballathie House where we were treated to some traditional singing over another fabulous dinner.